McClendon’s Select is proud to be a sponsor for the Viva Las BASIS Casino Night to help support the BASIS Peoria school, a wonderful charter school that is near and dear to our hearts. 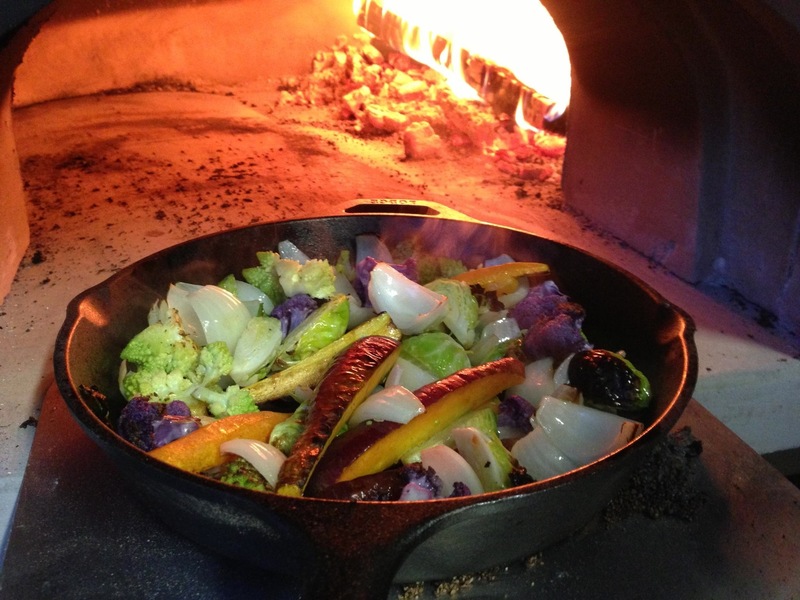 For their silent auction at the event, our own near and dear Chef Payton Curry has generously offered to do a cooking class here at the farm in our new wood-fired pizza oven. Those attending the class will also get to have a private tour of the farm with Bob, something that we don’t often get a chance to do around here. Payton will be demonstrating how to cook in the pizza oven using vegetables picked fresh that day, and will teach how to make hand-pulled mozzarella, something I personally have been wanting to learn for awhile. The cooking class and tour will be held here at the farm on Sunday, April 7th from 2:00-4:00pm. There are only eight seats available. Bidding will be for two seats per bid and they will select the winners from the highest four bids for this item at the auction. We wanted to let our customers know, since there has been much interest before in cooking classes or farm tours. To bid on this class, you have to attend the event in person. If you are interested in attending the event to place a bid on attending the class and tour or one of the items from the donating restaurants, you can purchase tickets at the BASIS Peoria Boosters website (the link is here). The event is cocktail attire and will be held on Saturday, March 2nd at the Lexus dealership on 9238 West Bell Road in Peoria. Tickets are $50/person and include dinner, dessert, drinks and BASIS Bucks for gaming. It should be a fun evening and it supports a wonderful school! Would love to bid for the cooking class. What are the steps? I go to the BASIS Peoria Boosters and then? Hi Helene! Go to the BASIS Peoria Boosters site for tickets to their fundraiser. The bidding on this item has to be done in person at their event. Their fundraiser is on Saturday, March 2nd at the Lexus dealership off of 91st Avenue and Bell Road. Hope you can make it! I want to thank the whole family of McClendon, workers and all, a big thank you for all the love you put in producing all the great earth friendly, healthy, produce we buy from you weekly.